Are you running or working for a local business who is offering assistance in any way to federal workers impacted financially by the government shutdown? 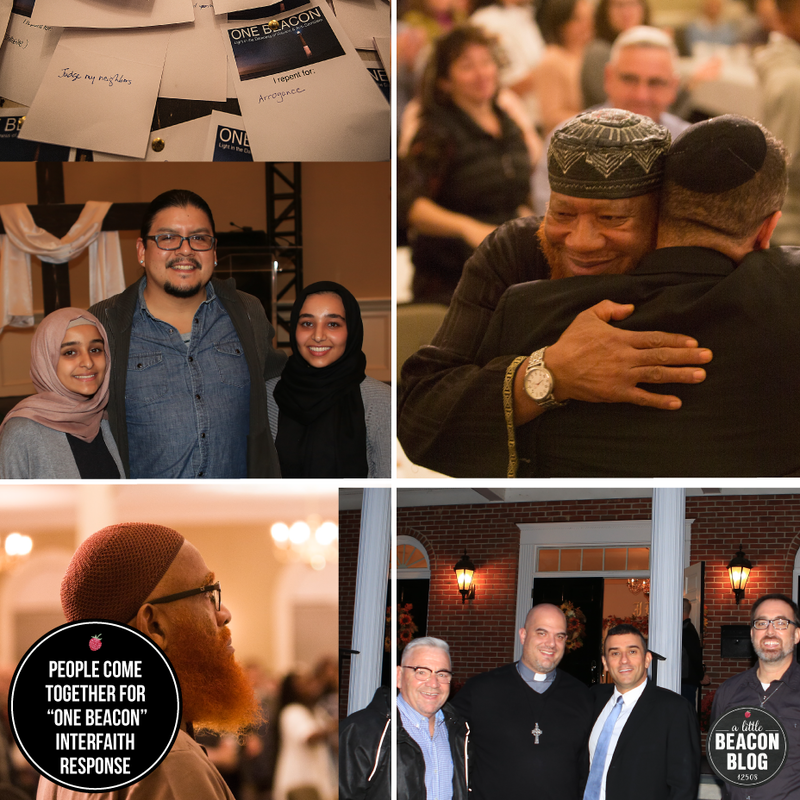 Please tell us about it, so that we can help spread the word to those impacted. 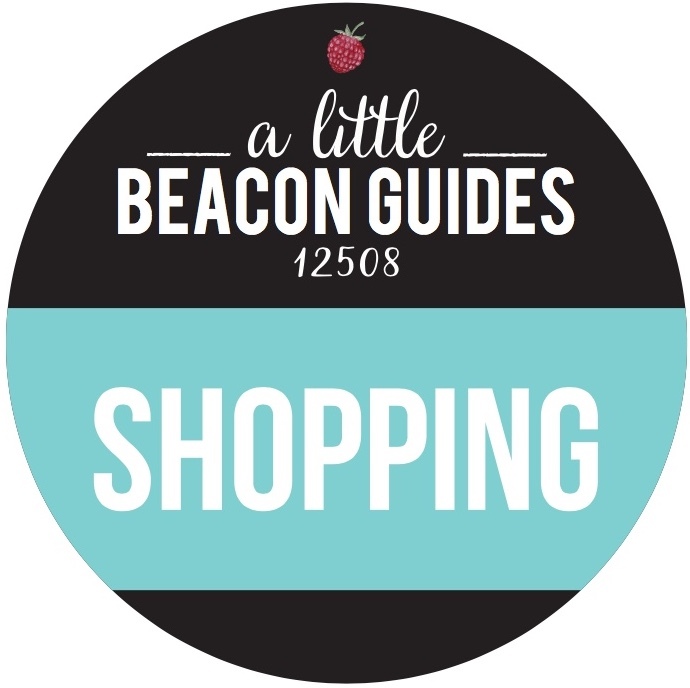 The City of Beacon issued an alert reminding people of the street parking rules during snow fall. Cars parked on the street are subject to being towed if there is 2 or more inches of snow. 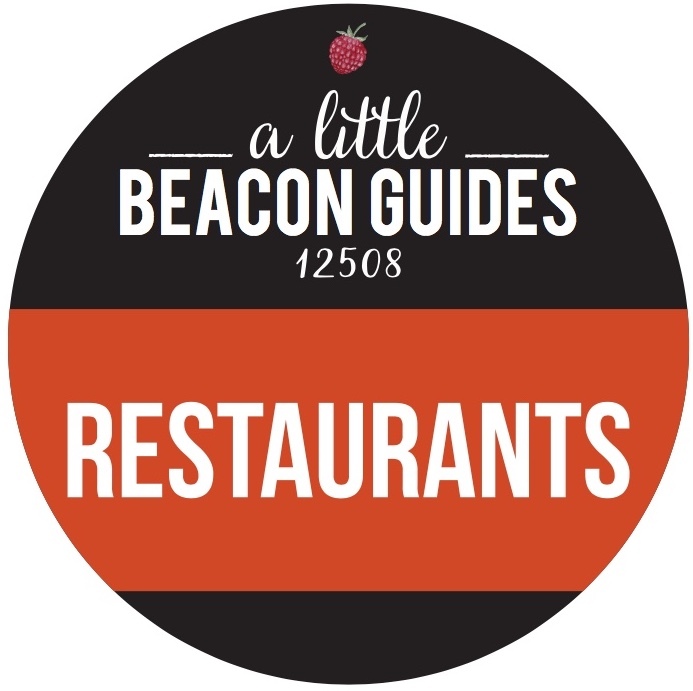 You can find a free parking lot here in A Little Beacon Blog’s Free Parking Lot Guide. Sign up here for the Emergency Alert Messages if you haven’t yet. 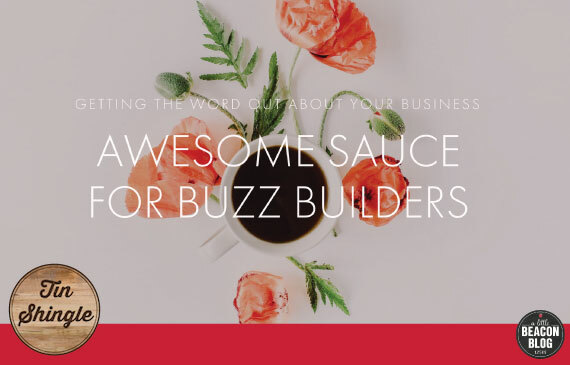 We wrote about it here and walked you through the process. 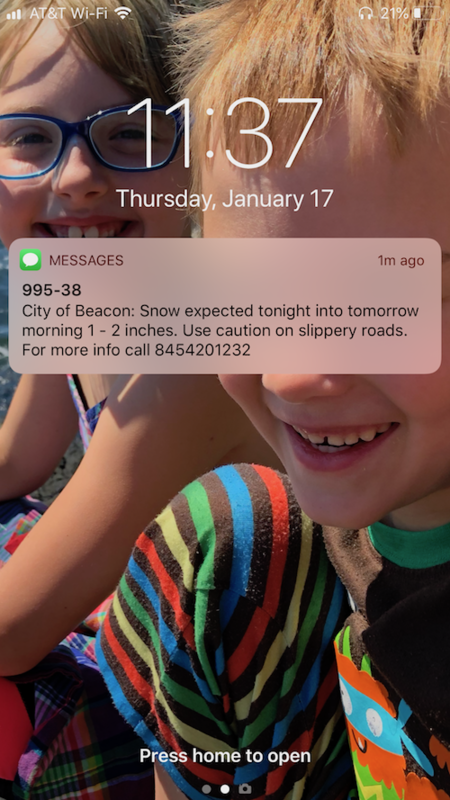 Beacon residents are now able to opt in to a new robocall system set up by the City of Beacon in order to quickly spread notifications in times of emergencies, unexpected road closures, snow closure updates, and other such messages. Signing up with the Emergency Alert System looks like this. 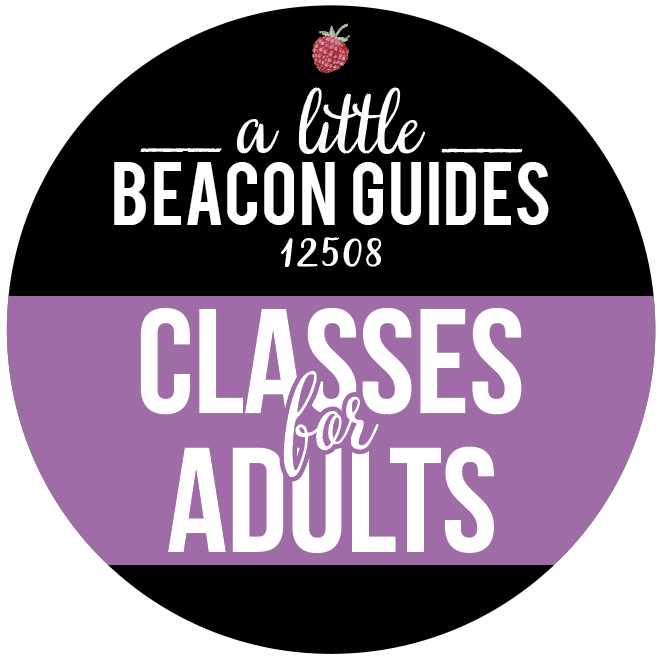 Cell Phones: Residents who have cell phones are not automatically subscribed, and need to opt in via the City of Beacon’s website by clicking here. The robocall system can target smaller areas of the city for an isolated incident, such as a streetwide issue, or larger sections of Beacon. It can also send citywide updates. “I think it will be a good tool for us to get information out,” said Anthony Ruggiero, Beacon’s City Administrator, during his announcement of the new service at the 12/17/2018 City Council Meeting. Snow? What snow? Just kidding. 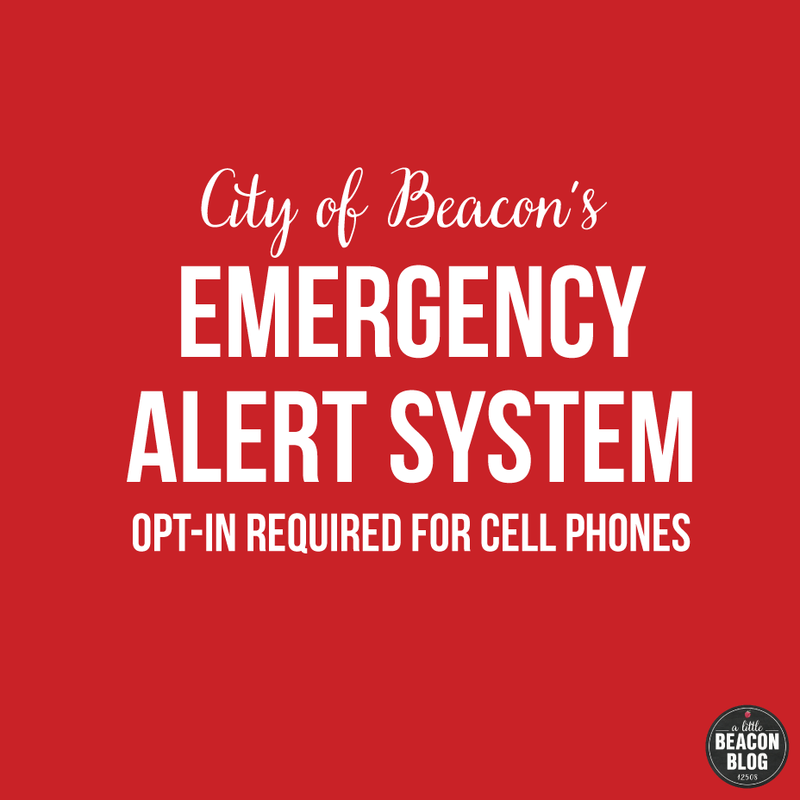 Are you subscribed to Beacon's new Emergency Alert System? It's awesome! And it has already sent a text and email alert about the dusting we got last night, in preparation for what might be coming this weekend. 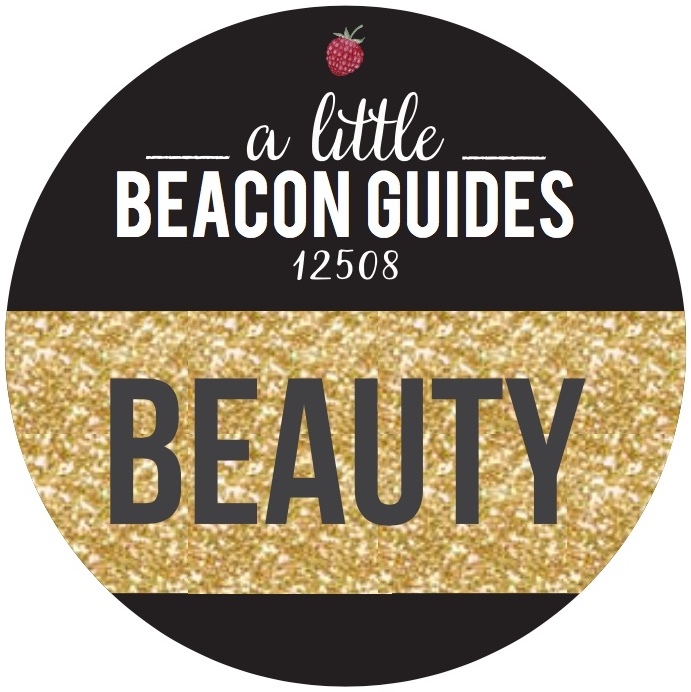 If you're looking for an inspirational read this weekend, check out this journey of Beacon-based SallyeAnder, the soap (and more) company. When her father's family business was struggling, Sallie (pictured here) exited law school to step in and help out. 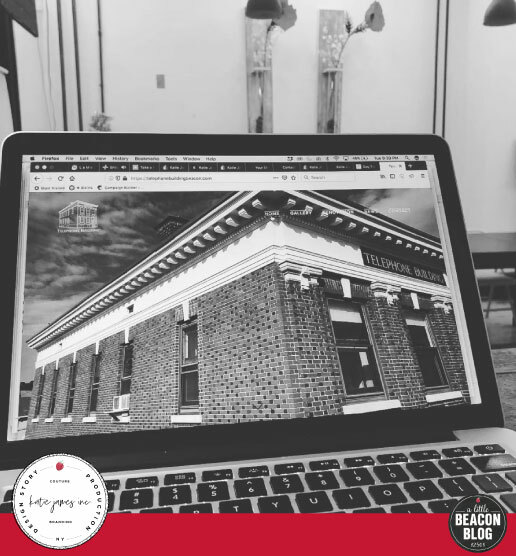 What has resulted is a national brand, manufactured right here in Beacon on the west end of town, with the flagship store on the east end of town in the converted factory building of 1 East Main. 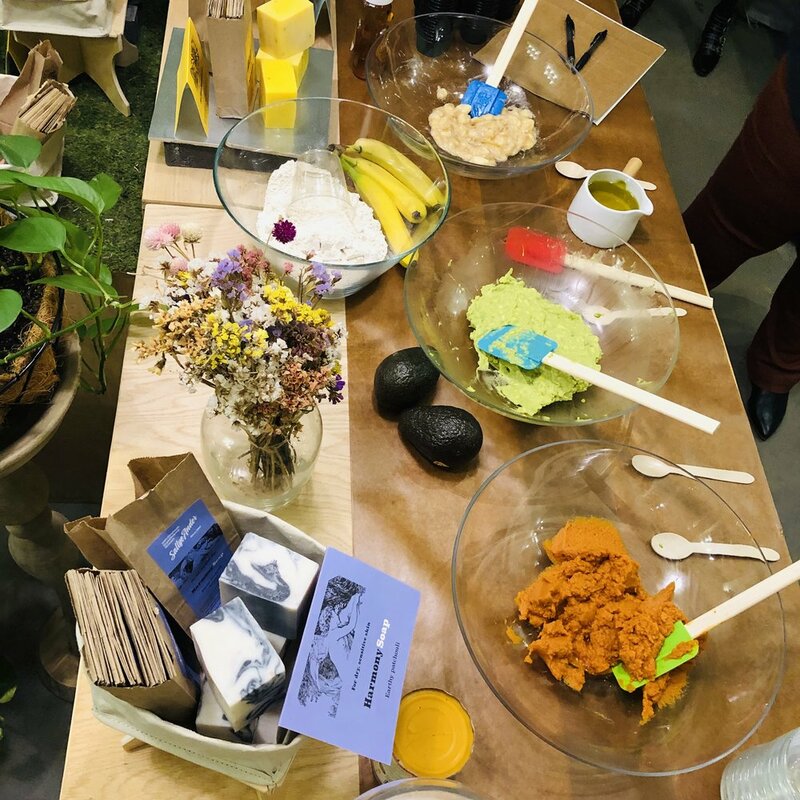 SalleyAnder just launched a new face mask, and had a mixing party to celebrate (yes, you can eat the ingredients). Read about last year's parade with several quotes from participants in the Poughkeepsie Journal. If there is snow, you could head over to Memorial Park near Mount Beacon for a day of sledding. Make your own hot chocolate from a mix found at Homespun or Utensil. Behind the Beacon Park and Recreation building at 25 West Center St. is a sledding hill. This overlooks the outdoor basketball courts on South Avenue. It also has a playground. Just because you're snowed in doesn't mean Main Street is! Beacon businesses are resilient (see here! ), so if your local plans get canceled, you just pack yourself up to walk up and down Main Street for some warm food and shopping. Hand-painted and hand-bejeweled glasses? Yes, Luxe Optique has them, from Francis Klein, one of the boutique's newest collections. See more from the line here (and OMG - look for the blue ones). The line is completely customizable and uses Swarovski crystals. 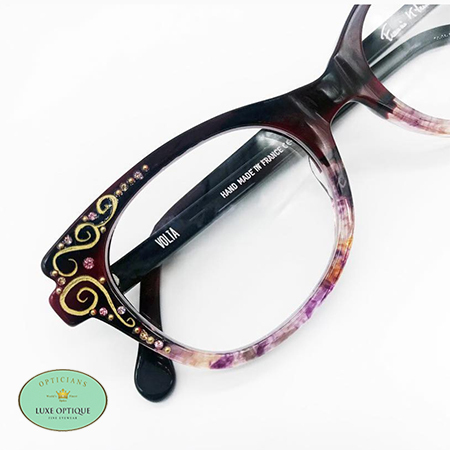 Consider this elegant Parisian collection of eyewear wearable art. 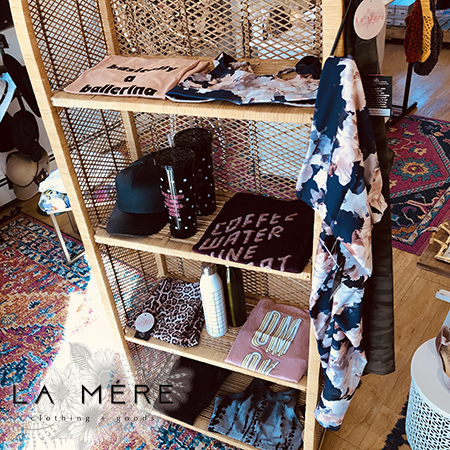 This phrase is becoming the popular go-to phrase with women who stop into L a M è r e: "That is going to be my next purchase," because once you shop there, you can't stop. There's always something new in the store. Like these new workout shirts, floral leggings, and sports bras. You'll even find a water bottle to go with you on your workout. 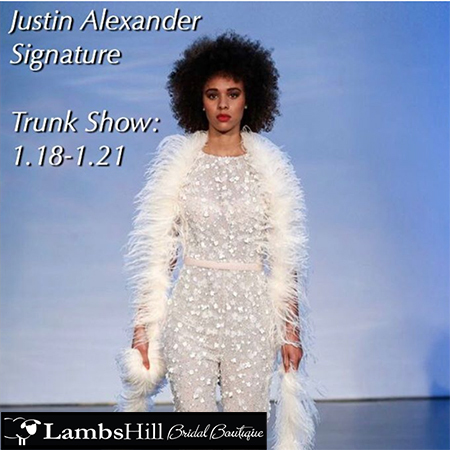 This weekend, Lambs Hill is hosting a Justin Alexander Fall/Winter 2019 collection preview. 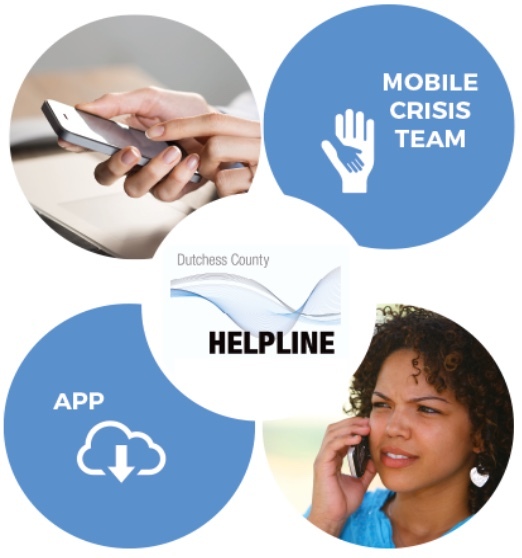 Appointment slots are filling up quickly, so call (845) 765-2900 today to secure your appointment! Also, since we're expecting snow, call ahead to double-check hours. 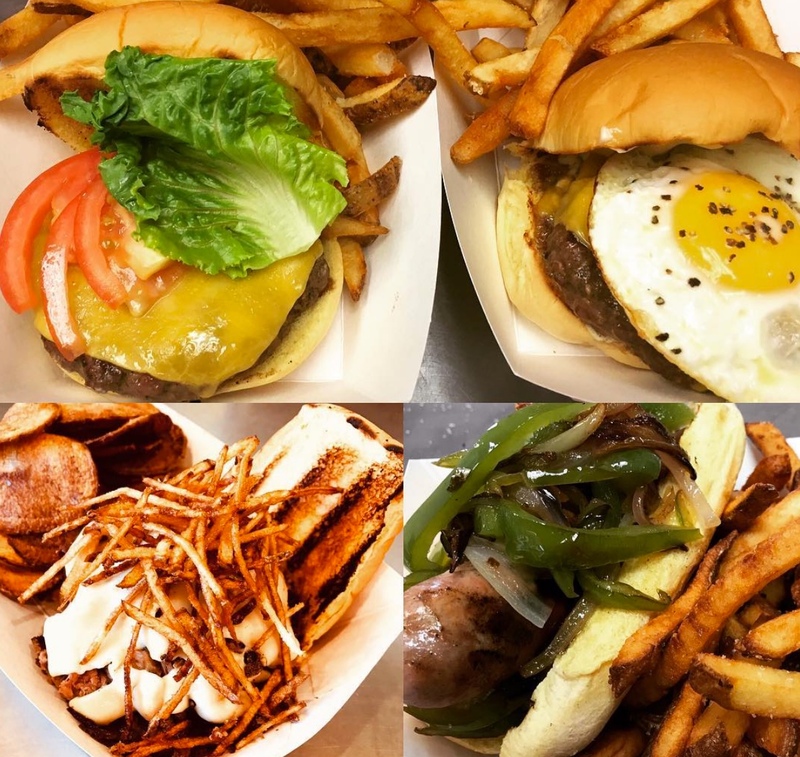 This burger and other sandwiches could be yours at Barb's Butchery, where they cook up lunch on the hot grill every day. Even on most snow days. Located on the other side of the Fishkill Creek, at the base of Mount Beacon. You'll be in good company on this side of the creek with Dogwood, the Roundhouse, Artifact, and a few other shops (Barb's Butchery is just up the street). One could call this area "the fringe" area off Main Street. It's happening over there, with those established early settlers. 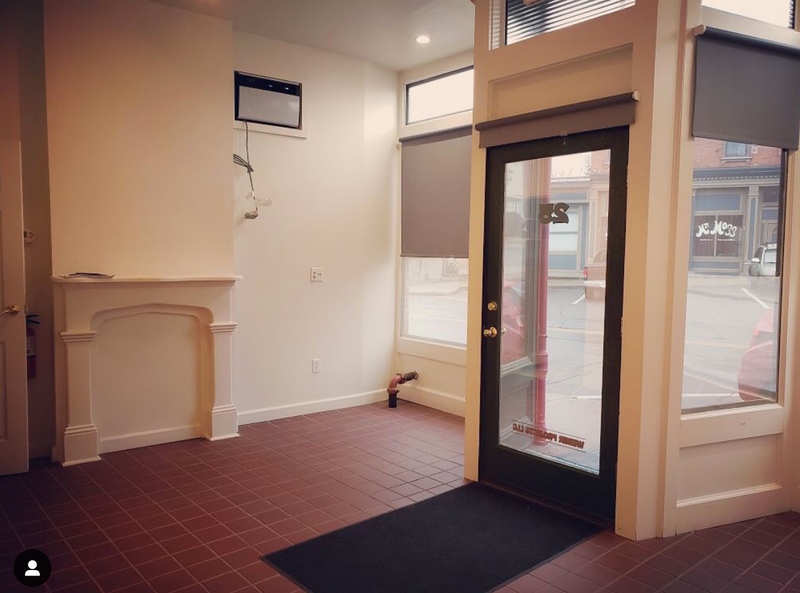 This would be a good space for a boutique or office. 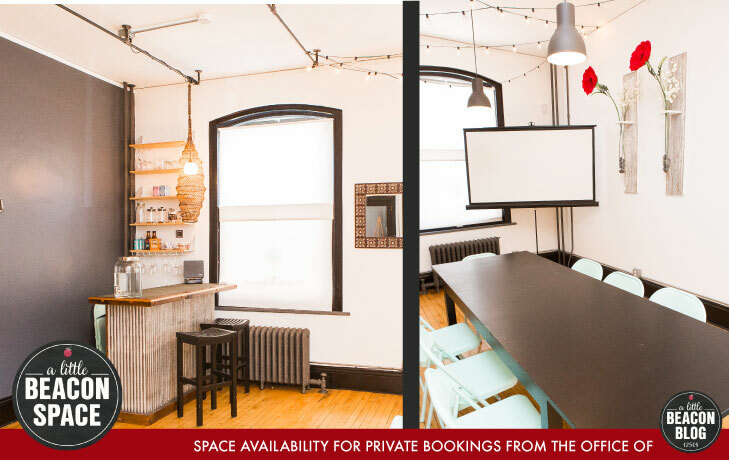 PRICE: $800/month SIZE: 255 sq. 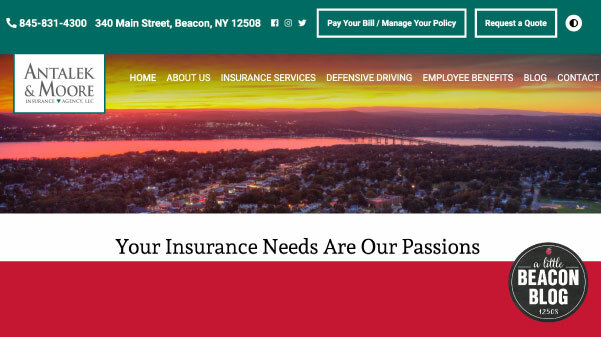 ft.
Antalek & Moore Insurance Agency made a point to hire local Beacon and Hudson Valley talent to create their new website. 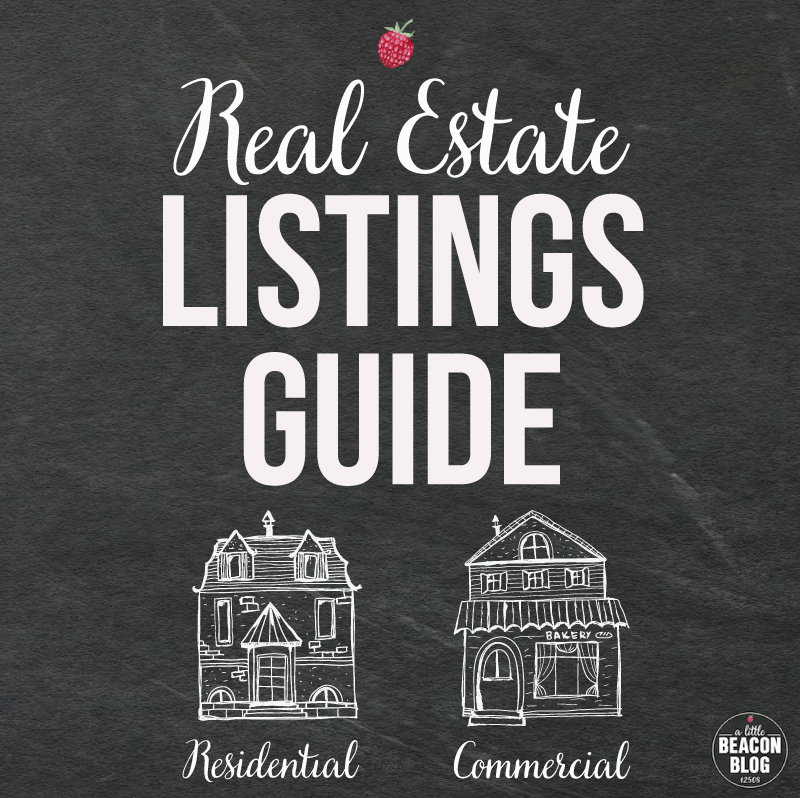 Credits include Katy Dwyer Design, Kate Rabe for content, and Scott Snell Photography. 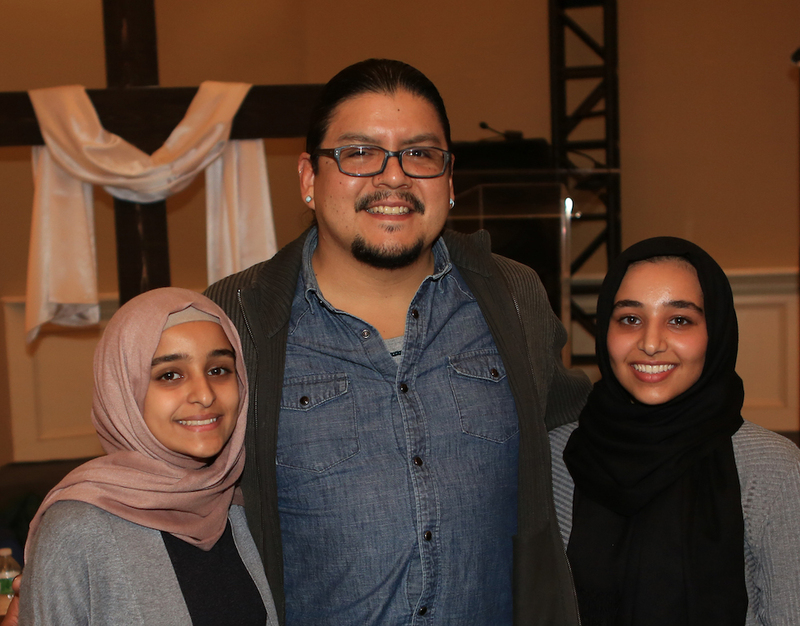 See their work here! Do you need to work through unexpected Snow Days with kids? 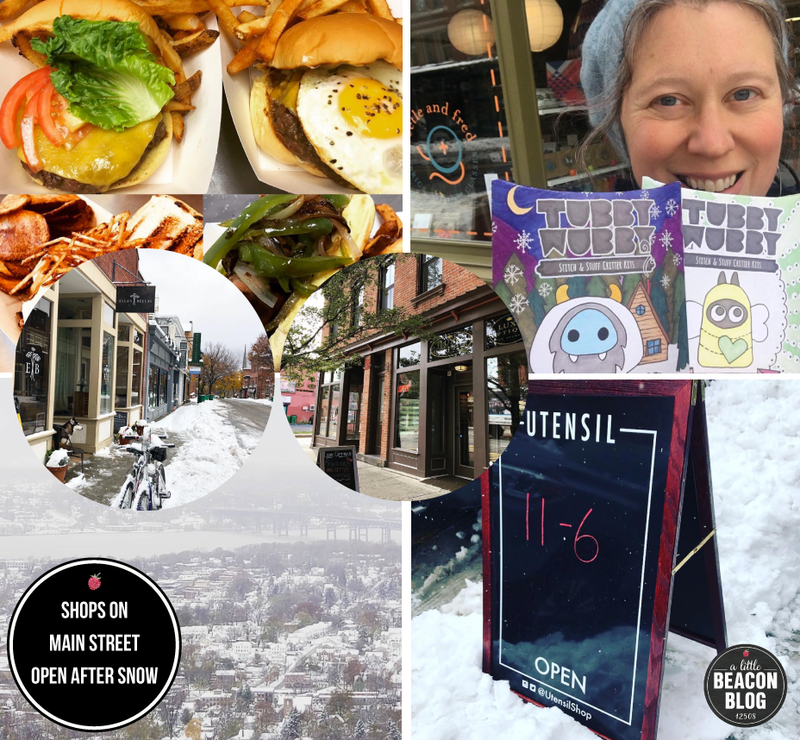 Tin Shingle has you covered with their article: "The Time-Tested Snow Day Survival Kit For Working From Home With Kids"
Sponsorship Opportunities are going on now for Beacon's Open Studios, one of the Hudson Valley's most anticipated interactive art experiences of the year. 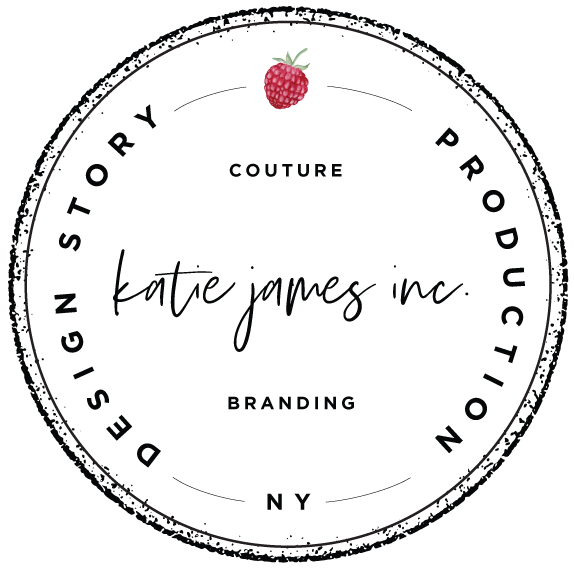 New Website Launch: Katie James, Inc. is proud to present the newest website design for the Telephone Building in Beacon, NY. 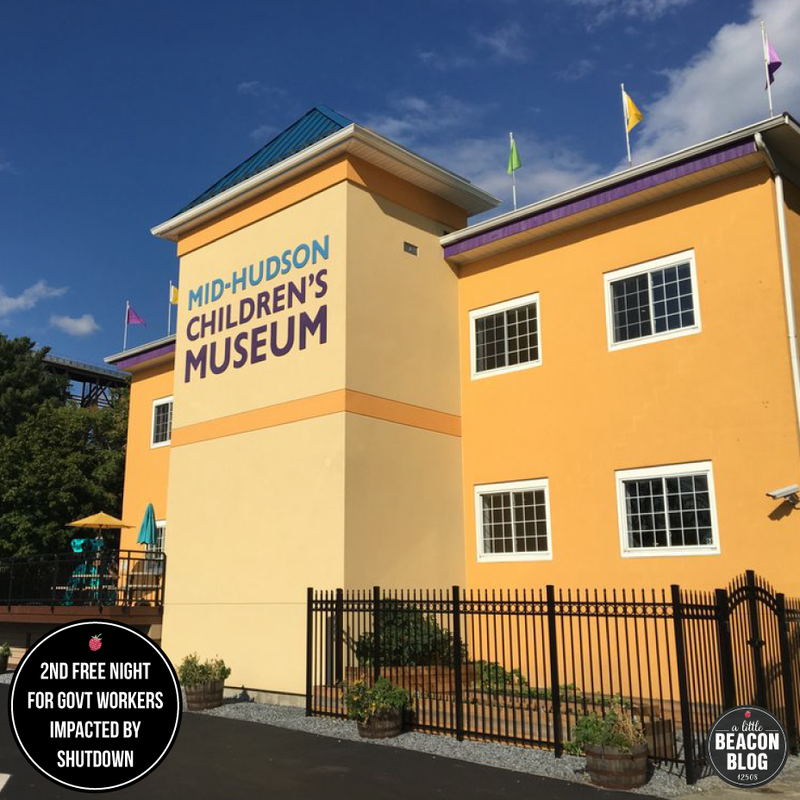 You've seen the building from the outside, now go inside all of the rooms and see the renovation it underwent at the direction of its owner, Deborah Bigelow. 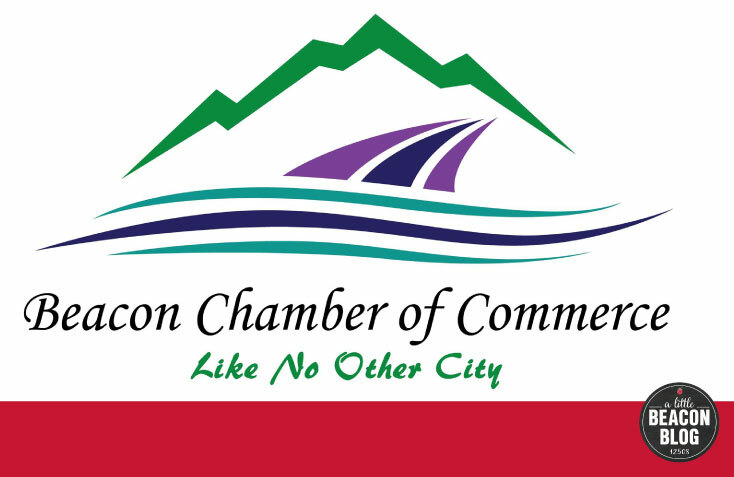 Join the Beacon Chamber of Commerce for their Annual Meeting on Tuesday, January 22, beginning at 5:30 pm at the Beacon Elks Club (900 Wolcott Ave., Beacon, NY) as members vote for the 2019 proposed slate. A light dinner will be served. 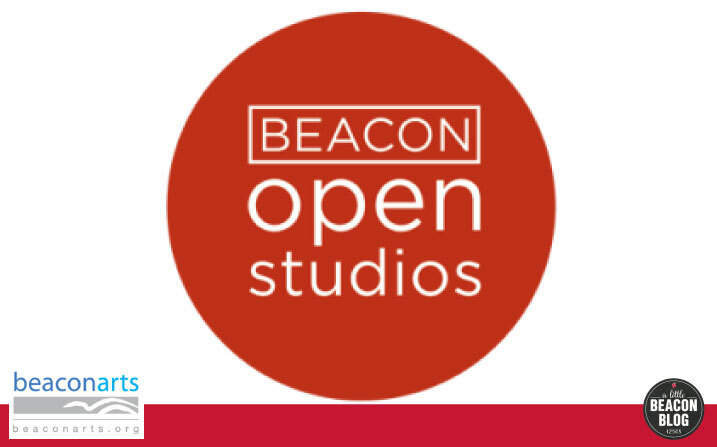 Some of the Art Gallery Openings in Beacon, NY, for January 2019. Clockwise from top right: Beacon Fine Art Gallery at the Inn and Spa at Beacon; Monochrome photography show at the Howland Cultural Center; Amanda E. Gross at Catalyst Gallery; imPerfect Poetics of Place group show at Hudson Beach Glass; and Walter DE Maria’s 360° I Ching/64 Sculptures at Dia. It’s the Second Saturday of the month, but it’s also the first Second Saturday of the year! Celebrate the calendar’s turn, maybe consider making an art-related resolution (or a revolution, maybe): Visit one new gallery every Second Saturday, or talk with one artist, or pick up just a card. For any and all art around town, we've got it covered in Beacon's most comprehensive Art Gallery Guide. The Inn and Spa at Beacon gets a fresh look in its Beacon Fine Art Gallery, with a variety of artists showing new work. At the Howland Cultural Center, a show opens to celebrate monochrome - practice finding a new perspective on dreary gray winter days, hopefully?. Or you could whiplash yourself in the other direction, with supersaturated, vibrant works from Amanda E. Gross at Catalyst Gallery. Stop by Hudson Beach Glass’ upstairs gallery to re-connect with TheoGanz Studio owner Eleni Smolen, who curated The imPerfect Poetics of Place. At Dia, this weekend holds your last chance to see Walter De Maria’s vast 360° I Ching/64 Sculptures, and your first chance to see the reopening of the Dorothea Rockburne galleries. 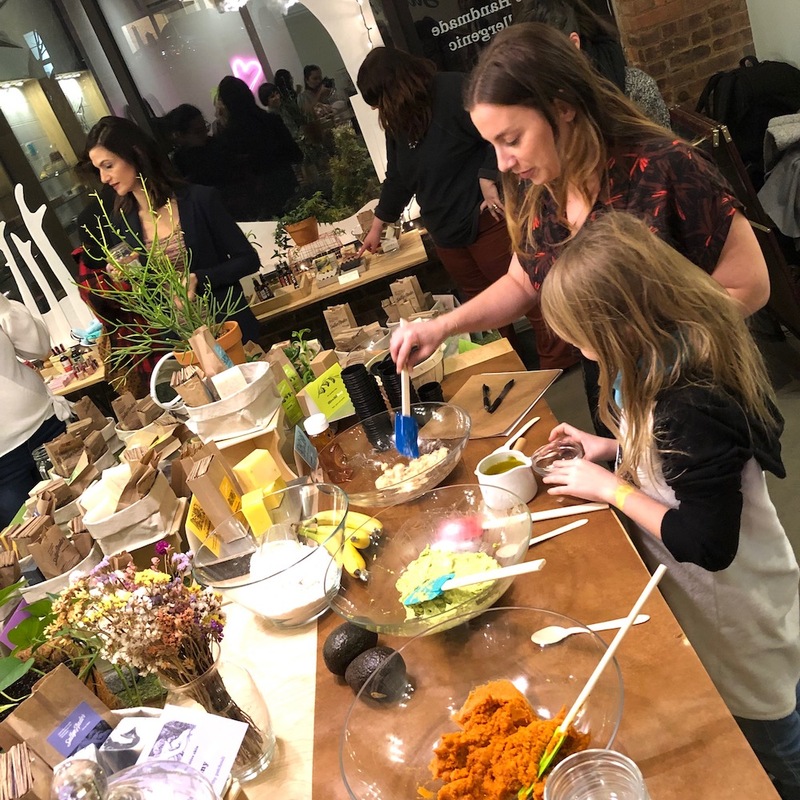 Clutter, RiverWinds, No.3 Reading Room and Photo Book Works, and bau have new openings, while Mother Gallery, BIRE, and Oak Vino are showcasing current shows just a bit longer. 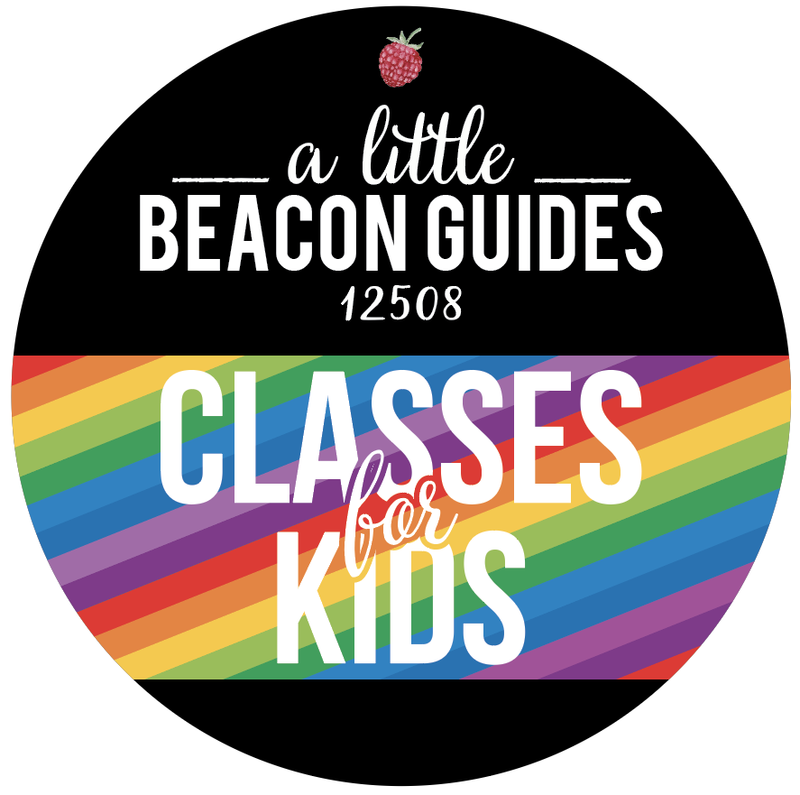 Check the Guide for details!